Book A Hotel or Build Your Own Holiday. Looking for offers? Bag yourself a bargain winter break in Benidorm. 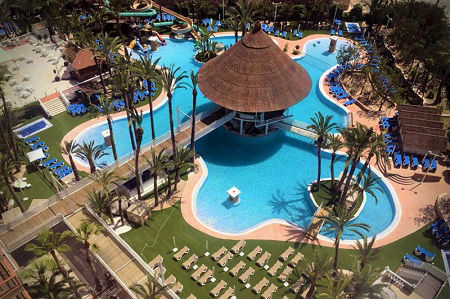 Get 3 nights of fun in the sun from as little as £109 per person with a cheap flight and Levante apartment included. 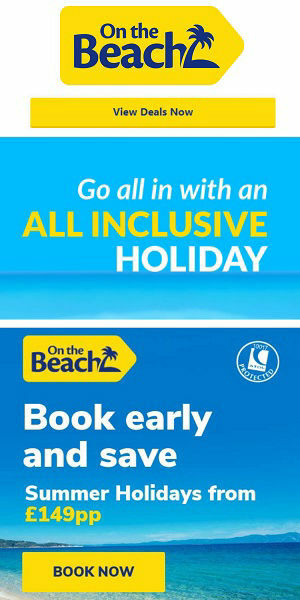 Spring and autumn low season holidays start from just £269 for 7 nights ALL INCLUSIVE. They are one of the UK’s leading online travel agents carrying over 1.6 million passengers annually. Find a huge selection of flights to Alicante and hotels in Benidorm from which to choose and build your perfect Costa Blanca Spanish holiday. Book just a hotel or an ATOL protected package holiday for peace of mind. Because they buy big, they are often the cheapest online travel agent! With access to availability at 10,000 hotels in Spain including up to 400 in Benidorm and the Costa Blanca, you will always find plenty of cheap hotels and cheap holidays in Spain. 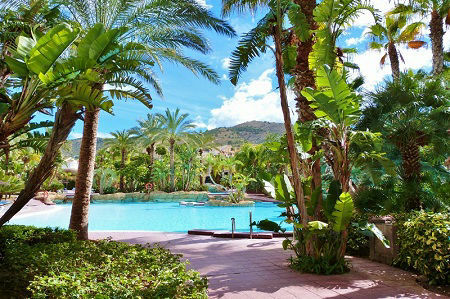 A resort hotel from Melia offering huge sunny tropical gardens and lagoon pools. Amazing facilities and guest areas. Choose a Melia room or upgrade to a premium 29m2 corner Level room with Nespresso coffee maker, plus private LEVEL lounge and breakfast room. Favourite hotel in Benidorm with British guests and well run with regular refurbishments including recent room and pool upgrades in 2018. Super location just a hop to the beach and Benidorm nightlife. Good choice for families and couples. Great value half-board deals. The Magic Tropical Splash is an excellent choice for families, water slides, lagoon pool plus day and night entertainment. Located in Cala Finestrat with a sheltered sandy beach. Fast buses to central Benidorm depart outside the hotel every 15 minutes. The Dynastic is in a great area with plenty of bars and restaurants opposite and the beach is just a short walk away as is the famous strip for the best of Benidorm nightlife. The hotel gets a thumbs up for food from many guests. Rooms are larger than average. FINANCIAL PROTECTION - All flight with a hotel holidays are ATOL protected, this means if you buy a flight and hotel together, at the same time you are 100% covered. Plus since 2011 On the Beach pay customers’ cash into a UK trust account (flights are paid for upfront) and cannot access it until your holiday is complete. See website for more details. £50 DEPOSITS - Deposits from £50 per person, plus spread the cost until 2 weeks before you fly with their part payment scheme. NOTE: Some airlines require full payment of flights at the time of booking, most flights cannot be changed or refunded. LAST MINUTE BENIDORM HOLIDAYS - Bargain late deal 7 night holidays from £193 to Benidorm. Plus over 3,000 last minute late deals and short breaks across the Mediteranean region from £122. 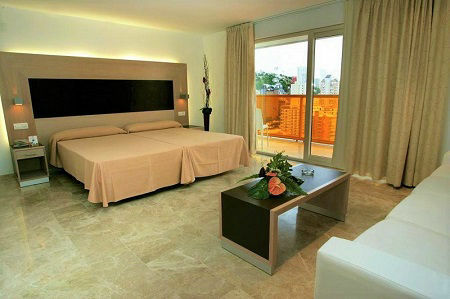 If you are flexible on your departure airport and dates, there are many exclusive bargains to be found at ontheBeach. 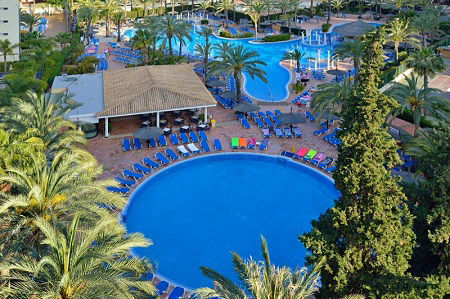 Still time to pick up a cheap winter Benidorm mini-break, ALL INCLUSIVE 4 nights from £181. SHORT BREAKS FROM £109 - Cheap off-peak Benidorm mini-breaks or long weekends of 2 or 3 nights self-catering from as little as £109. Or go ALL INCLUSIVE with 4 nights from as little as £197. Pic-n-mix up a low-cost holiday!